Children's Rights: Is Parenting A Civil Rights Issue? Is Parenting A Civil Rights Issue? 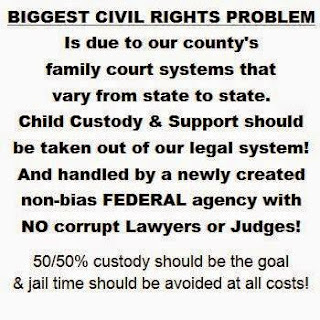 Very few family law attorneys, and perhaps fewer local courts in America treat parenting matters as a civil rights issue. 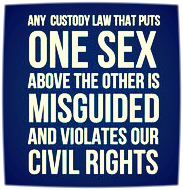 I have had many practitioners inform me that civil rights or Constitutional issues just don’t come into play with respect to divorce, custody or child support matters. This seems rather strange given that the United States Supreme Court itself has recognized parenting as a fundamental right, Troxel v. Granville, 530 U.S. 57 (2000). Given the Supreme Court’s disposition, the importance of parenting in general, and the long, deep American tradition of looking upon family as a focal point of our our values and life activities, it should follow that parental rights would be treasured at all levels of society. So why isn’t that the case? Let’s walk through some possible answers, the problems these present, and some solutions that can help ensure that these rights will be protected at every level of government in a meaningful and productive way. First, the nature of the relationship between family and the broader society necessarily means that the government and the courts have traditionally been limited in how much protection they can offer to an individual household. This has changed considerably in the last generation, however. In fact, if anything, rather than the government protecting the family as a unit, in the past generation, there has been more and more intervention from child protective services, local police units, foster parenting agencies, etc. in ways that override one or both parents’ authority within their own home. Regardless, however, courts often perceive that they are helpless to look behind closed doors and tell what is really happening within a family. They can’t or won’t enforce rights except on matters which occur out in the open – whether these rights are fundamental or not. Second, there is a similar perception that the enforcement of rights within a family means the protection of women and children, which in turn means protection from a father. That being the case, parenting itself is in no way treated as a civil rights issue, though perhaps women’s rights are being protected on multiple levels in multiple ways. This results in a bifurcation of the protection of the rights of a woman that is not widely understood. While she maintains a high level of government protection from undesired advances from her husband or boyfriend, she maintains little if any protection from the government itself with respect to her relationship with her children. Constitutionally, men and women are guaranteed equal protection as to each other, and higher protection as adults than children, with all individual’s protected from intrusion by the government. In an unwritten fashion, however, the law prefers women over men, children over women, and governmental agencies over all. Thus in practice, the government operates nearly in reverse of what the Constitution intended. Finally then, we approach the crux of the problem. But there is one additional element that needs to be considered – the way local systems of government operate, including their inter-relationship with state and federal levels of government. Local systems lend themselves to corruption via the limited resources that exist for holding them accountable. As people are elected or appointed by their friends within the community, it’s likely there is little opposition at a level that would challenge their credibility or actions. Hence, local officials often are able to ignore significant conflicts of interest that may sway them to handle a matter in a manner that is unbalanced or biased. But these conflicts exist vertically, through the state and federal government, as well as through the networks of local relationships an official has. This is due to the need for funding to keep these government employees working. That funding typically comes from beyond the local tax base. It is paid for either by the state, or in the case of the collection of child support, about 40% has been paid by the federal government with matching funds. The matching funds were suspended in December 2007, but can be expected to be revived in 2009. Given the influence presented by these conflicts, it should not be surprising how easily local courts choose to overlook a parent’s Constitutional rights. But is this wrong? Should parenting be treated as a civil rights issue? If so, how? It’s one thing to note that the Supreme Court’s recognition of parenting as a civil, Constitutional right. It’s another to assert how it should be recognized within the communities in which we live. When it comes to divorce, custody and the rights of parents in relation to their time and the raising of their children, we need to first come to grips with how common it is for children to be raised in single parent households and how regularly father’s are excluded or limited in their role as a parent in these cases. Child Support Revenues Jump in Obama’s Home State, 08/21/08 By Claire Bushey. Numerous sources are available to demonstrate that it is the interference by a custodial mother that is most likely to inhibit the time and relationship between a father and his own children, for example: Psychological and Structural Factors Contributing to Disengagement of Noncustodial Fathers After Divorce . In itself, this raises extraordinary problems for the psychological well-being of the children of divorce. 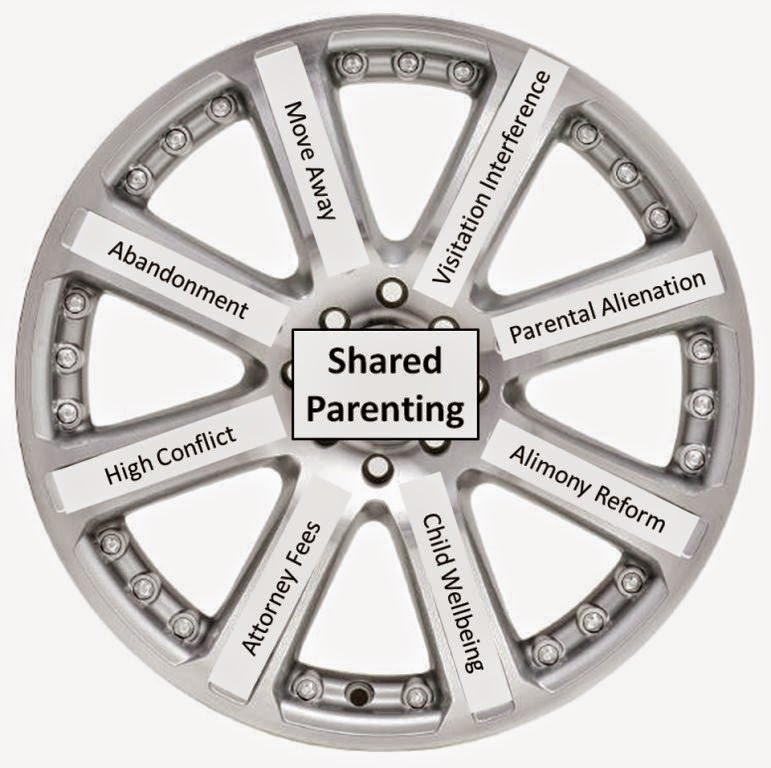 But a significant part of the problem can be resolved by taking away the leverage one parent has to disenfranchise the other from the children’s lives by balancing the power that is left in the hands of both parents regarding the children. This possibility is regularly set aside in order to protect a mother’s financial support from the father, because courts claim to be ill equipped to resolve differences between parties acting with equal authority, and because it is assumed that the father will ultimately yield to the mother in matters of parenting. But all three of these assertions bring to light the importance of recognizing and enforcing the protection of a father’s fundamental rights as a parent. 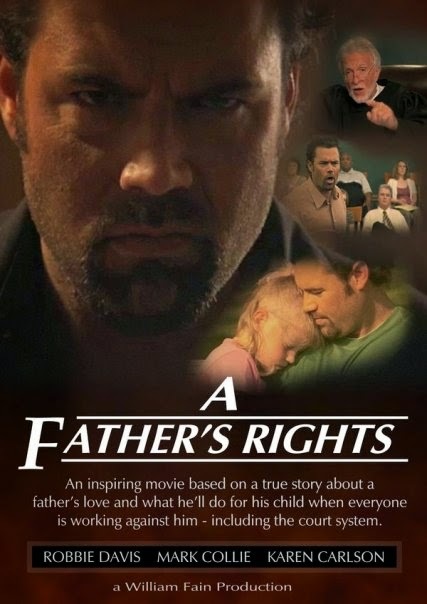 Constitutional protections are needed most precisely in cases when cultural stereotypes and assumptions are employed to inhibit an individual’s access to justice – and that is what occurs whenever a father is treated unequally with a mother of the same children. 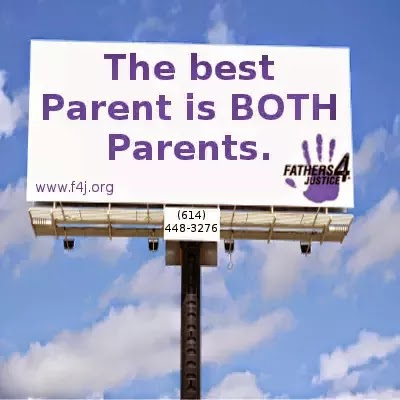 Until we reach a point where as many families have the father as the custodial parent as the mother, father’s need to be treated with special care and their rights carefully preserved in the courts and administrative offices that govern parenting time and child support. More attorneys are needed who will stand up for the children, families and fathers that are discriminated against by a system that enables the disenfranchisement of one or both of a child’s parents. If you have a matter that demands this kind of attention, please visit my website, ThompsonLaw-IN.com and contact my office today. A continuing relationship with both parents. Be treated not as a piece of property, but as a human being recognized to have unique feelings, ideas, and desires consistent with that of an individual. Continuing care and proper guidance from each parent. Not to be unduly influenced by either parent to view the other parent differently. Express love, friendship, and respect for both parents: freedom from having to hide those stated emotions or made to be ashamed of such. An explanation that the impending action of divorce was in no way caused by the child’s actions. Not to be the subject and/or source of any and all arguments. Continuing, honest feedback with respect to the divorce process and its impact on the changing relationships of the family. Maintain regular contact with both parents and a clear explanation for any change in plans and/or cancellations. Enjoy a pleasurable relationship with both parents, never to be employed as a manipulative bargaining tool. The obligation of being a parent does not end after a divorce. It is extremely important to understand that the bond of marriage is completely different from that of parents. This is the most common down fall in today’s society, as a dissolution of marriage takes place so does that of parenting. 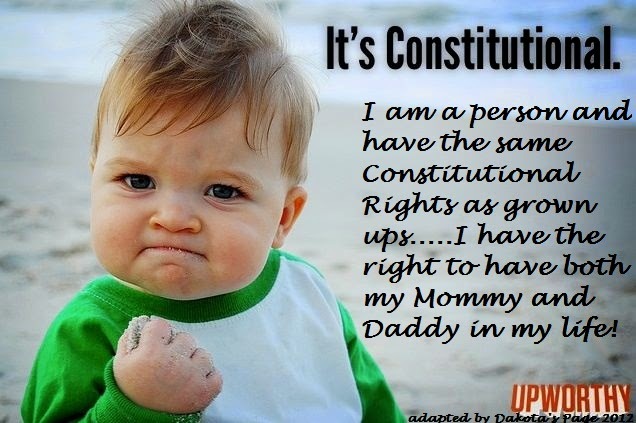 Why is "Parenting" not included in the Bill of Rights? Remain an Equal Parent to your Child! Is your social media account discoverable in your Family Court proceedings? Civil Rights Advocate Leon Koziol issues startling report to Justice Department for investigation and hearings on abuse of federal funds in divorce and family courts. P.S. I love my children more than anything in this world. A Support and Advocacy blog for Protective Parents and innocent Children harmed by wrongdoing under the color of law, the Family Law and CPS Industries. We investigate where the media can't or won't go. The people "have the right to instruct their representatives, petition government for redress of grievances, and assemble freely to consult for the common good." In Keeping with the Constitution, Blind Bulldog is committed to serving the common good in Shasta County. "The untethered aggression of family courts is due to a vacuum of institutional client advocacy--unlike criminal courts, which have firmly-established constitutional rights, strict state and federal oversight of state court judges, and a dedicated “criminal defense bar” to thwart government aggression, or civil courts that have “plaintiffs'” and “defense” bars to balance one another’s private agendas, family court has no “litigant bar.” The divorce attorneys themselves favor aggression for the simple reason identified in the movie--follow the money. Attorneys have not filled that vacuum to defend their own clients, leaving them vulnerable to the natural tendency of government to intrude. Family court litigants are, sad to say, woefully unaware of what they’re up against, and the body count shows results that are entirely predictable--but we think preventable. 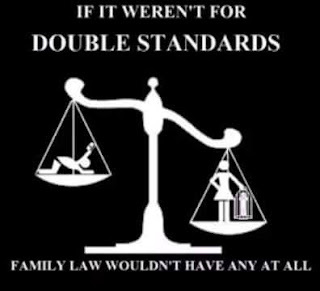 Family court was created by lawyers and judges--literally--rather than the citizens it should be protecting. We’ve located the history through testimony and other documentation showing something like a Jekyll Island series of “off the record” meetings between California judges, attorneys, and bureaucrats in the 90’s to “set up” family court to their liking, then seeking what became essentially a rubber stamp granting unheard of discretion from the California legislature. This system is now unfortunately the model or trend for many states--hence our nationwide membership and approach. Citizens had virtually no input and maintain no control. Federal courts have observed unusually broad adaptations of “federalism,” “comity,” “standing,” and “abstention” legal doctrines to leave the vacuum unoccupied by otherwise ordinary protections of federal rights for individual citizens and legal consumers. Litigants themselves are outmatched in organization--they’re a revolving door commodity. No one wants to stick around long enough to enforce reform. Hence rampant abuse in a lop-sided system of foxes guarding the henhouse, and you and I are on the ever-expanding menu." Understand that having your kids taken from you is not something the courts should be doing lightly. We all know that, but how does one push the issue before a court headed by entrenched child trafficking corruption? My opinion is that no one should be bothering with that. Instead, it seems clear to mine eyes that "child separation anxiety" and subsequent "grief" are together "distinct mental disorder" clearly qualifying individual sufferers as "disabled". The right of access to LEGITIMATE court services is discussed in Tennssee v. Lane. "Title II (of the ADA) is aimed at the enforcement of a variety of basic rights, including the right of access to the courts at issue in this case, that call for a standard of judicial review at least as searching, and in some cases more searching, than the standard that applies to sexbased classifications." In my opinion, and what I am currently working on, is not something so intimidating (at its genesis) as a full lawsuit against court officials (which almost assuredly would be doomed under the current unlawful doctrines the federal courts maintain toward snuffing out such suits), but rather something so simple that everyone reading this -- with or without much legal knowledge -- can accomplish it simply. If diagnosed with any type of child separation anxiety (be honest) by a psychologist (or psychiatrist I guess, but I'd go with the psychologist on this one), then arguably such an evaluation would demonstrate "qualification" as a disabled person under the ADA. Legitimately based on excessive removal of one's own children. http://scholar.google.com/scholar_case... http://www.ILoveAndNeedMyDaughter.blogspot.com http://www.Causes.com/ChildrensRights Stop Emotional Child Abuse — at Lawson E. Thomas Courthouse. I’m writing with the words of a father that has been bearing up for so long and might be he will die as a loser in this struggle but never give in. My words are for all the fathers not able to manage going on in their life, because of lack of strength, money or fortune in life and not able to live and resist for years in social exclusion. I dedicate my words to all the sons that need to have both their separate parents, close to them for growing up. But first of all I’m writing to you… you politicians, judges, lawyers, psicologists, executives… try to put yourselves in my place, in the place of a father who loves really much his daughter but is obliged to be separate from his daughter and prevented from seeing and holding her. What do you think can be a father’s thoughts when he’s suddenly and rudely separate from a beloved daughter, at the tender age of one and half? Have you ever wondered about his feelings? Does he feel deep pain and sorrow? We are fathers not supermen! We are human beings like everybody else and we can live in mental equilibrium, in social balance, in doubts and feel affection and have hope, expectations as well as qualities and faults just like you. The Holy Bible sais : “Do to others as you would have them do to you” but not the contrary!!! Would you like to see your little children few hours a week from now on? Or not to be allowed to see them at all suddenly, with no reasons why or demerit, with no possibility of appeal??? I please you to think about it and find a solution to put an end to this agony and not extinguish a father’s hopes!!! How true ... initially I trusted our system and was proud of being one amongst the 300 million people living on the land of opportunity and freedom. But, it turned out to be a sour dream. This land is nothing but a hypocritical land where nobody cares for anything except for money and power. What a SHAME! ~ Juli T. Star-Alexander – Executive Director, Redress, Inc. When I split with my husband, I had this type of arrangement as describe, as I was still thinking the situation would be resolved, once we both calmed down and he had said this, plus because I think both parents are needed by a child. I gave him access to his daughter when ever he wanted it and had the time away from his busy job. Things got messy later and the government were brought into the situation, what you call child protection in America. Now I have not seen my daughter for 4 years, only twice accidentally totalling maybe 1 hr in 4 yrs. I wanted fairness for my daughter who is now 9 and was taken from her Kindergarten room at school, but now I am left feeling alienated and worthless to her. When I saw her she said "mum where ya been?" when I told her the court said I cant see her until she is 18, she told me I could in Queensland in a contact centre, she was 8 when she told me that. I was left homeless and beaten when this happened, I was dragged through the courts, for 12mths and I had nothing, except piles of affidavits telling me what a worthless human being I am and an unfit mother. I know men have felt this way for many years but I just want to say that it can happen to anyone. Brotherhood of Trainmen v. Virginia ex rel. Virginia State Bar, 377 U.S. 1; v. Wainwright, 372 U.S. 335; Argersinger v. Hamlin, Sheriff 407 U.S. 425 ~ Litigants can be assisted by unlicensed laymen during judicial proceedings. Conley v. Gibson, 355 U.S. 41 at 48 (1957) ~ "Following the simple guide of rule 8(f) that all pleadings shall be so construed as to do substantial justice"... "The federal rules reject the approach that pleading is a game of skill in which one misstep by counsel may be decisive to the outcome and accept the principle that the purpose of pleading is to facilitate a proper decision on the merits." The court also cited Rule 8(f) FRCP, which holds that all pleadings shall be construed to do substantial justice. Davis v. Wechler, 263 U.S. 22, 24; Stromberb v. California, 283 U.S. 359; NAACP v. Alabama, 375 U.S. 449 ~ "The assertion of federal rights, when plainly and reasonably made, are not to be defeated under the name of local practice." Elmore v. McCammon (1986) 640 F. Supp. 905 ~ "... the right to file a lawsuit pro se is one of the most important rights under the constitution and laws." Federal Rules of Civil Procedures, Rule 17, 28 USCA "Next Friend" ~ A next friend is a person who represents someone who is unable to tend to his or her own interest. Haines v. Kerner, 404 U.S. 519 (1972) ~ "Allegations such as those asserted by petitioner, however inartfully pleaded, are sufficient"... "which we hold to less stringent standards than formal pleadings drafted by lawyers." Jenkins v. McKeithen, 395 U.S. 411, 421 (1959); Picking v. Pennsylvania R. Co., 151 Fed 2nd 240; Pucket v. Cox, 456 2nd 233 ~ Pro se pleadings are to be considered without regard to technicality; pro se litigants' pleadings are not to be held to the same high standards of perfection as lawyers. Maty v. Grasselli Chemical Co., 303 U.S. 197 (1938) ~ "Pleadings are intended to serve as a means of arriving at fair and just settlements of controversies between litigants. They should not raise barriers which prevent the achievement of that end. Proper pleading is important, but its importance consists in its effectiveness as a means to accomplish the end of a just judgment." NAACP v. Button, 371 U.S. 415); United Mineworkers of America v. Gibbs, 383 U.S. 715; and Johnson v. Avery, 89 S. Ct. 747 (1969) ~ Members of groups who are competent nonlawyers can assist other members of the group achieve the goals of the group in court without being charged with "unauthorized practice of law." Picking v. Pennsylvania Railway, 151 F.2d. 240, Third Circuit Court of Appeals ~ The plaintiff's civil rights pleading was 150 pages and described by a federal judge as "inept". Nevertheless, it was held "Where a plaintiff pleads pro se in a suit for protection of civil rights, the Court should endeavor to construe Plaintiff's Pleadings without regard to technicalities." Puckett v. Cox, 456 F. 2d 233 (1972) (6th Cir. USCA) ~ It was held that a pro se complaint requires a less stringent reading than one drafted by a lawyer per Justice Black in Conley v. Gibson (see case listed above, Pro Se Rights Section). Roadway Express v. Pipe, 447 U.S. 752 at 757 (1982) ~ "Due to sloth, inattention or desire to seize tactical advantage, lawyers have long engaged in dilatory practices... the glacial pace of much litigation breeds frustration with the Federal Courts and ultimately, disrespect for the law." Sherar v. Cullen, 481 F. 2d 946 (1973) ~ "There can be no sanction or penalty imposed upon one because of his exercise of Constitutional Rights." Schware v. Board of Examiners, United State Reports 353 U.S. pages 238, 239. ~ "The practice of law cannot be licensed by any state/State." Sims v. Aherns, 271 SW 720 (1925) ~ "The practice of law is an occupation of common right." HOW DID CHILDREN OF DIVORCE GET STUCK WITH THE VISITATION PLAN THAT AFFORDS THEM ACCESS TO THEIR NON-RESIDENTIAL PARENT ONLY ONE NIGHT DURING THE WEEK AND EVERY OTHER WEEK-END? What is the research that supports such a schedule? Where is the data that confirms that such a plan is in the best interest of the child? Well, reader, you can spend your time from now until eternity researching the literature, and YOU WILL NOT DISCOVER ANY SUPPORTING DATA for the typical visitation arrangement with the non-residential parent! The reality is that this arrangement is based solely on custom. And just like the short story, "The Lottery," in which the prizewinner is stoned to death, the message is that deeds and judgments are frequently arrived at based on nothing more than habit, fantasy, prejudice, and yes, on "junk science." This family therapist upholds the importance of both parents playing an active and substantial role in their children's lives----especially in situations when the parents are apart. 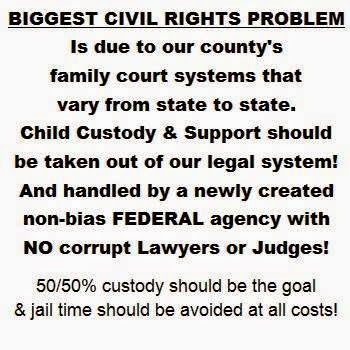 In order to support the goal for each parent to provide a meaningfully and considerable involvement in the lives of their children, I affirm that the resolution to custody requires an arrangement for joint legal custody and physical custody that maximizes the time with the non-residential----with the optimal arrangement being 50-50, whenever practical. It is my professional opinion that the customary visitation arrangement for non-residential parents to visit every other weekend and one night during the week is not sufficient to maintain a consequential relationship with their children. Although I have heard matrimonial attorneys, children's attorneys, and judges assert that the child needs the consistency of the same residence, I deem this assumption to be nonsense. I cannot be convinced that the consistency with one's bed trumps consistency with a parent! Should the reader question how such an arrangement can be judiciously implemented which maximizes the child's time---even in a 50-50 arrangement----with the non-residential parent, I direct the reader to the book, Mom's House, Dads House, by the Isolina Ricci, PhD. Indeed, the research that we do have supports the serious consequences to children when the father, who is generally the non-residential parent, does not play a meaningful role in lives of his children. The book, Fatherneed, (2000) by Dr. Kyle Pruitt, summarizes the research at Yale University about the importance of fathers to their children. And another post on this page summarizes an extensive list of other research. Children of divorce or separation of their parents previously had each parent 100% of the time and obviously cannot have the same arrangement subsequent to their parents' separation. But it makes no sense to this family therapist that the result of parental separation is that the child is accorded only 20% time with one parent and 80% with the other. What rational person could possibly justify this? It's human nature to seek out a partner in life, and to possibly marry and have children. Unfortunately the matrimonial establishment, as we are all aware, is being methodically torn down by a demoralized society. Sadly the divorce rate is still on the rise and the foundation of marriage is being devalued and is crumbling. As adults we learn to adapt and move on when divorce attacks our lives but for children this is another story. They are the real victims of divorce and unfortunately they will suffer dearly from our selfishness and in most cases follow the same path of destruction if not worse. As a nation we have been granted certain civil rights by our constitution. Through the years it has been amended to better the lives of many Americans. The two most notable changes have come to Women in the 1920s and with African Americans in the 1960s. These rights were long overdue for both segments of our nation but thankfully we realized our mistakes and corrected them. This was not an easy journey for either of these crusades but through dedication and perseverance the bells of liberty rang loudly and victory was achieved. Unfortunately we have reached yet another fork in the road and with that comes another challenge to the American people. "We've worked hard for women's rights, but we have to watch out that the pendulum doesn't swing the other way" says Ruthie J. of the Reach FM. Ironically the pendulum has already swung far to one side and this time the male gender is being demonized by erroneous and fraudulent information. Males are being portrayed as callus, uncaring, and without emotion. We are being taught that men represent 95% of abuse in this nation against women. These and many other false statistics are being recklessly strewn throughout society and none of it is true. Yes, women are being abused by men that is a fact. striking a woman is abhorrent to the highest degree and should be dealt with appropriately but men are abused at an equal rate and they are being ignored. According to a study by the Center for Disease Control men represent 38% of domestic violence related injuries. Compound that with the fact that only 0.9% of men report abuse verses 8.5% of women and I think we have a pretty equal degree of violence between partners. The cornerstone of this "abuse" is VAWA the Violence Against Women Act. It was passed into law by Bill Clinton in 1994 and has been extended by every subsequent President. This law funnels Billions of dollars into discriminatory education and propaganda that violates men's civil rights. Many times DVIs or Domestic Violence Injunctions are used as a tool in divorce, child custody or just vengeance against a partner, most often against males. This is because the system of acquiring a DVI is simple and requires no evidence, witnesses or prior police reports. Just the word of an alleged victim making a claim of abuse. The repercussions of these orders are devastating and many times result in a violation, arrest and complete destruction of one's life. Even in cases when they are dismissed, a serious blemish remains on the falsely accused forever; how does that look to potential employers who almost always perform background checks prior to employment? This must be stopped and a better system of protecting all victims of domestic violence should be put in place. I hope to help bring awareness to gender discrimination and help provide support for men who are abused. There are programs to help women of abuse but nothing for men. My website will provide more information on the facts, my personal experiences and the stories of those who have been victims of this heinous tactic of relationship vengeance. Men and women should truly have equal rights and currently the scales are unjustly tilted. Let's work together to end domestic violence and not vilify one gender as inherently abusive. "United we stand, divided we fall" A powerful statement that we must never forget. One in six Americans know someone who has been falsely accused of domestic violence. The silver bullets in divorce, false allegations are sometimes used to obtain child custody. This despicable act removes fit and loving parents from the lives of their children. 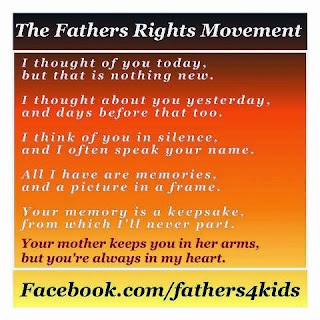 Please take a moment, as soon as possible, and speak out for the millions of children who are missing a falsely accused parent. And do it for the parents who are grieving for their children, stolen with a lie. Take note of their party affiliation and phone number. If your senator is a Republican, call, and ask them to support Sen. Grassley's Substitute Amendment to VAWA. If your senator is a Democrat, call, and ask them to demand changes to Sen. Leahy's VAWA (S. 1925), to curb false allegations of domestic violence. Thank you for taking a stand for affected families everywhere. While I applaud columnist Paul Flemming for a sound review of the issues in Saturday’s “Alimony bill will be great — for lawyers,” his bottom-line conclusion is dead wrong. The proposed state alimony reform bill will reduce litigation, not increase litigation. A bit of history: For years, the divorce vultures (a.k.a., the Family Law Section of the Florida Bar) have conned the Florida Legislature into writing divorce legislation that maximizes litigation and thus maximizes their income. In part, they have accomplished this by maximizing judicial discretion, which in practice means endless conflict and, of course, endless paid litigation. No matter what they may say, the divorce vultures are interested only in one thing — maximizing their income. Do your readers honestly believe they are spending all this money so they will lose income? The divorce vultures get the message in terms of what alimony reform will cost them — and save the children, fathers and mothers of divorce. I regret Mr. Flemming did not do the same. Full Disclosure: I am an alimony-paying divorced father of two young adult daughters and retired university divorce researcher with multiple research and scholarly publications on this topic. How to file complaints against Florida Family Law Judges and Family Law Lawyers? Each State has its own procedures for filing complaints against Judges. All states require a written and signed complaint. Some states have a form for you to fill out. Other States request a letter. Grievances of misconduct usually concern issues of conflict of interest or impartiality. Adverse rulings or judgments are not considered legitimate grievances. You must support the complaint to the JQC about the Florida Family Law Judge with sufficient documentation. Write to the Florida Judicial Qualifications Committee. All states maintain an agency to process lawyer complaints. These disciplinary counsels can usually be found as a department of the state bar association or as a branch of the state Supreme Court. Complaints in Florida can be filed by filling out a form supplied by the disciplinary counsel or by writing a letter to The Florida Bar. 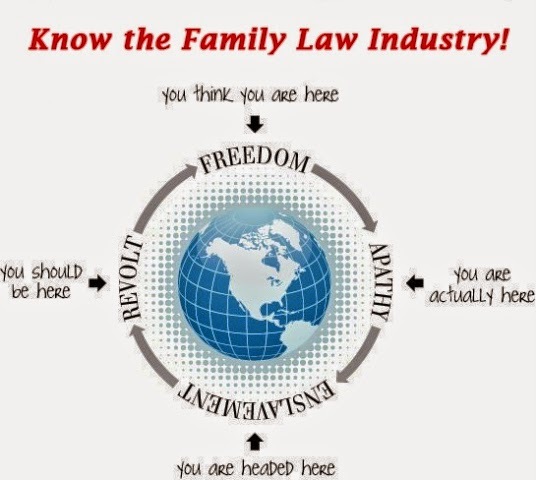 The Florida Bar handles complaints about family law lawyers in Florida. Mike Haskell is a divorced dad, shared parenting supporter and practicing family law attorney in Grand Rapids, Michigan. I see you have found our little club here and you've decided to troll around for a bit. I first would like to say "welcome" on behalf of the men and women who suffer daily inside and outside these pages. We are glad you are here. Feel free to take your time and peruse the stories of men and women who have lost everything. Take in the agony and the pain, read the horror stories of men who havn't seen their children in 6 weeks, 6 months or 6 years. You will notice that all the stories share a familiar tone. The pain is real. The disbelief is palpable. The constant barrage of men ready to give up is unfortunately true. They may give up and stop fighting vindictive exes for their children and just move on, only to be later called a deadbeat loser from the same woman that deprived him of his children. They may give up and eat a bullet, jump from a bridge or tie a noose around their neck and say their final goodbye. You win, they lose. You are now an accessory to murder. Stick around and look at the pictures of the children that are left behind. These are the other victims. The victims without a voice in all of this. Had they had a choice they would almost always choose to have a loving caring father by their side. You deprive them of that. Not only do you assist in the murdering of fathers, but you're also a child abuser. Congratulations. Be sure to keep coming back to our little club here. Make jokes about how we are all domestic abusers who feel we have some ghastly privilege of fathering our children. Keep your kids close to you, be sure you cash that child support check and keep the children from Daddy if he misses a payment. It's only a fair punishment for him. Make him suffer. Make him hurt so bad he stays awake at night crying because he misses his kids so badly. Make him out to be the deadbeat you just know he is. Make his feel the depths of depression and despair by keeping his kids from him. Threaten to have him arrested and thrown in jail for inability to pay child support. You're cruising now bio-mom. You show them who is boss. Don't allow him to talk to his kids on the phone. Don't allow him to have one extra minute of "visitation". Marginalize him and make him feel what a scumbag he truly is. Don't tell him of your children's accomplishment or how they are doing in school. Keep any and all medical records from him. Keep him guessing who is with his children and where they are living. Keep doing what you are doing bio-mom. Now we all know who the boss is. It was never the judges or lawyers who caused all this. It was you. Now look down at your children and realize everything you have done to your ex has also been done to them. See, you are a child abuser after all. Severe parental alienation case in Arizona in June. This father is a narcissistic bully causing severe emotional abuse to his two sons and alienated a loving mother and a step daughter from her father. This father runs an IT company in Phoenix and is highly dangerous and compulsive liar. He has paid police officers off to testify, used his technology company to modify drug and alcohol results and shared documents with community and family. He has harassed the mother for 5 years. This is defamation of character and he is Sharing this information with innocent children. Please help support this mom! She is dedicated to helping change legislation on parental alienation . CoNtact Domestic Abuse Angels on Facebook to help please this is a crisis! !